If the course has to be cancelled, then the European Cultural Academy B.V. will refund participants 100% of the tuition fee only. Other than refunding your course fee, the Academy accepts no liability for expenses or losses you or any third party may incur as a result of a programme's cancellation. Cancellations by students up to 4 weeks in advance of the start date of the course will be eligible for 100% refund of the tuition fee. For any cancellations within 4 weeks until the start date of the course, no refunds or transfer of balance will be made. Should a participant miss a session, it is not possible to replace it with a future session on another course. While special rates or discounts cannot be combined, we are pleased to offer the best rate for which you are eligible. The European Cultural Academy will provide classes according to the programme and organise visits to relevant venues such as museums and exhibition spaces. We will use our best endeavours to deliver the programme as it is planned. In exceptional circumstances, we may consider it appropriate to cancel or significantly change the programme. We will endeavour to resolve any issues, concerns or complaints which you bring to our attention as efficiently and thoroughly, as is possible in the circumstances. European Cultural Academy B.V. allows you to pay for purchases online by using your MasterCard, Visa, bank transfer and Paypal. Every purchase is made with maximum security thanks to the implementation of the most advanced encryption services (SSL). We only use protected connections, as demonstrated by the "https" URL prefix and the lock symbol that appears in the browser's address bar. To safeguard your credit card purchases, you will always be asked to enter your CVV code for every order. 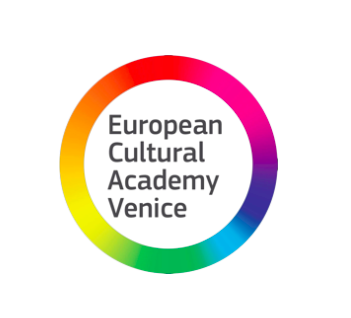 Owner and Data Controller: European Cultural Academy B.V. Among the types of Personal Data that this Website collects, by itself or through third parties, there are: Cookies, Usage Data, email address, first name, last name and country. The Data concerning the User is collected to allow the Owner to provide its services, as well as for the following purposes: Analytics, Interaction with external social networks and platforms, Remarketing and behavioral targeting, User database management, Hosting and backend infrastructure, Handling payments, Managing support and contact requests, Managing contacts and sending messages and Contacting the User. The services contained in this section enable the Owner to monitor and analyze web traffic and can be used to keep track of User behavior.Google Analytics (Google Inc.)Google Analytics is a web analysis service provided by Google Inc. ("Google"). Google utilizes the Data collected to track and examine the use of this Website, to prepare reports on its activities and share them with other Google services. By filling in the contact form with their Data, the User authorizes this Website to use these details to reply to requests for information, quotes or any other kind of request as indicated by the form's header. Personal Data collected: country, email address, first name and last name, telephone number, gender. This type of service might still collect traffic data for the pages where the service is installed, even when Users do not use it.Facebook Like button and social widgets (Facebook, Inc.)The Facebook Like button and social widgets are services allowing interaction with the Facebook social network provided by Facebook, Inc. This type of service allows this Website to manage support and contact requests received via email or by other means, such as the contact form. The Personal Data processed depend on the information provided by the User in the messages and the means used for communication (e.g. email address). This type of service allows this Website and its partners to inform, optimize and serve advertising based on past use of this Website by the User. This activity is performed by tracking Usage Data and by using Cookies, information that is transferred to the partners that manage the remarketing and behavioral targeting activity. Personal Data (or Data) Any information regarding a natural person, a legal person, an institution or an association, which is, or can be, identified, even indirectly, by reference to any other information, including a personal identification number. User The individual using this Website, which must coincide with or be authorized by the Data Subject, to whom the Personal Data refers. Data Controller (or Owner) The natural person, legal person, public administration or any other body, association or organization with the right, also jointly with another Data Controller, to make decisions regarding the purposes, and the methods of processing of Personal Data and the means used, including the security measures concerning the operation and use of this Website. The Data Controller, unless otherwise specified, is the Owner of this Website. This Website The means by which the Personal Data of the User is collected and processed. Legal information Notice to European Users: this privacy statement has been prepared in fulfillment of the obligations under Art. 10 of EC Directive n. 95/46/EC, and under the provisions of Directive 2002/58/EC, as revised by Directive 2009/136/EC, on the subject of Cookies. Need more info? Leave an email to get the brochure. Grazie! You will hear from us soon!